* Includes 45 pieces of beautifully detailed black-and-white artwork! I got a look at a digital version of this coloring book. They illustrated iconic scenes from the series. One page has dialogue or a quote from a scene and the opposing page will be the illustration of that scene. It was fun to revisit some of the funny and action filled moments from the show. 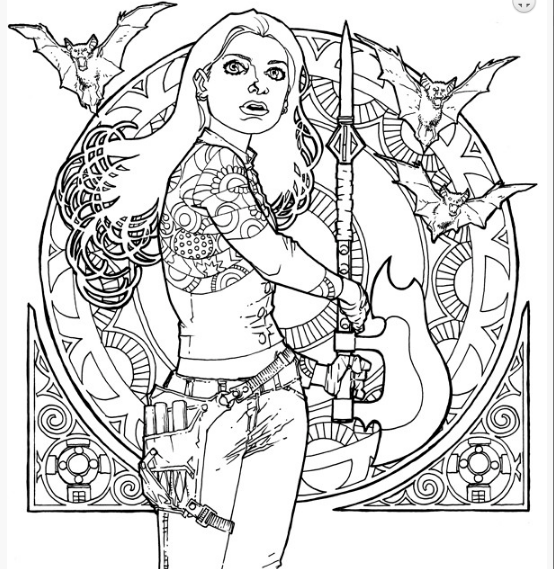 The artwork isn't what I would call beautiful coloring material, but this is aimed more at the Buffy fandom than the fan of adult coloring books...so it's a "fashion over function" deal. 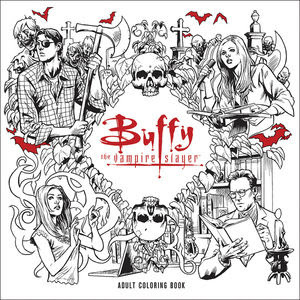 If you are a big Buffy fan or want to find a gift for a fan of the show then you can't go wrong...they probably aren't going to color it, just put it in their fandom collection (raise hand if you have one *raises hand*). But if you are a die hard coloring booker...this would be pretty basic. My Mom would have a fit! She use to watch this show religiously I'm going to get this for her. Thanks for bringing this to my attention. Cool! I'm like your mom. I started watching it when it started. It was such a breath of fresh air compared to what was on TV at the time. Hope your mom enjoys it! Buffy played a pretty important role in our family life. My girls and I watched it from the very first show to the last, and we talked about it a lot during the week waiting for the next episode. Some of their friends came over to watch it too. (We had quite a gathering after a couple of seasons!) We laughed and cried and loved it HARD. All those feelings come back every time I see something associated with the show. 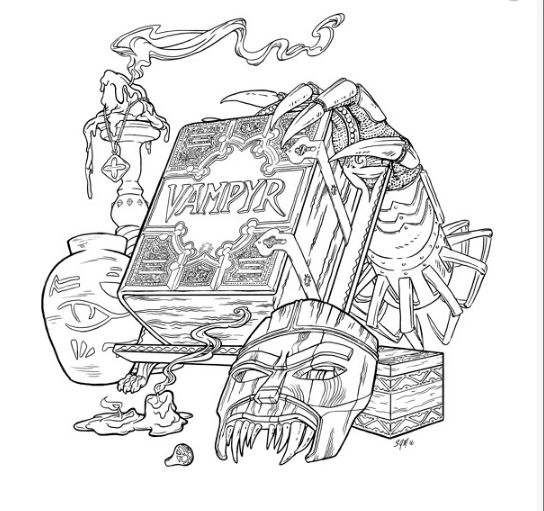 You're right that a Buffy fan is much more likely to add it to their collection rather than actually color it. 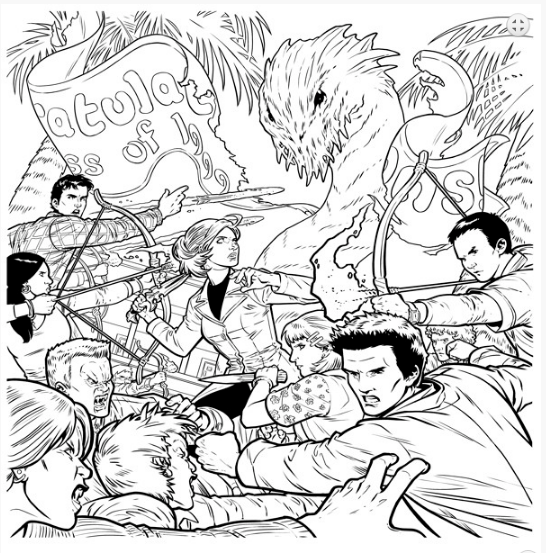 I hope it's like the Supernatural coloring book where there are color photos in the back that match the drawings. I agree! 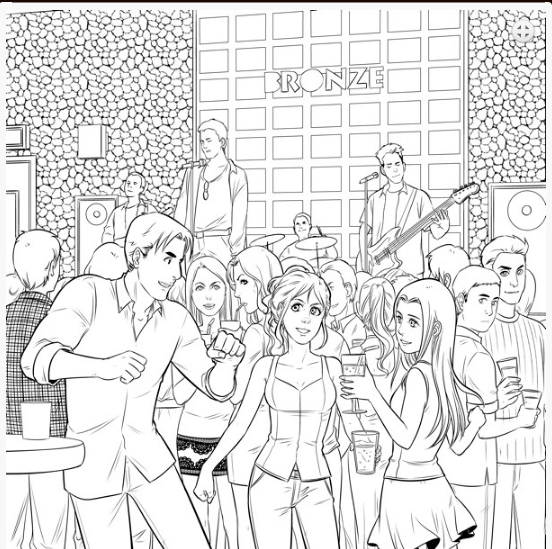 But there are no color pics in the back, at least not in the PDF review copy I got.